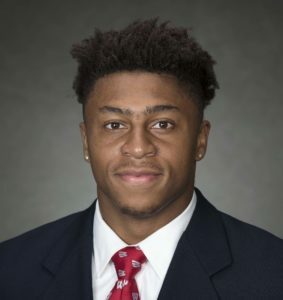 Wisconsin running back Jonathan Taylor is the best running back in the Big Ten Conference and Thursday night in Atlanta, he added to his resume. Taylor was named the best running back in all of college football, winning the Doak Walker Award. He is the fourth Wisconsin player to capture the honor, joining Ron Dayne (1999, Montee Ball (2012) and Melvin Gordon (2014). The sophomore from Salem, New Jersey will enter the December 27 Pinstripe Bowl against Miami ranked first in the nation in rushing yards per game (165.8). Taylor has rushed for 100 yards in 11 of 12 games this season. He has rushed for at least 150 yards in six games, and he’s gone over 200 yards four times. Taylor and senior right guard Ben Benzschawel were first-team picks on the Walter Camp All-American team. Senior left guard Michael Deiter was a second-team pick. For the second straight season, Wisconsin sophomore running back Jonathan Taylor has been named a finalist for the Doak Walker Award. The nation’s leading rusher, Taylor has tallied 1,869 rushing yards and scored 15 touchdowns. His average of 169.9 yards per game is 31.6 higher than any other FBS player and has Taylor on pace to rush for 2,209 yards in 13 games. Only six players in FBS history have run for 2,200 yards in a season. Taylor has topped the 100-yard mark in 10 of 11 games this season, including an FBS-leading four 200-yard efforts. He rushed for a career-high 321 yards and three touchdowns, including the game-winner in triple overtime, last Saturday at Purdue. After breaking Adrian Peterson’s FBS freshman record with 1,977 yards last season, Taylor needs just 31 yards to become only the fourth player to record back-to-back seasons of at least 1,900 yards. he looks to join the likes of Iowa State’s Troy Davis (1995-96), TCU’s LaDanian Tomlinson (1999-2000) and Memphis’ DeAngelo Williams (2004-05). With 3,846 yards for his career, Taylor has already smashed fellow Badger Ron Dayne’s FBS record for combined rushing yards as a freshman and sophomore. Taylor, Dayne (3,566 yards, 1996-97) and Herschel Walker (3,507, 1980-81) are the only FBS players to tally 3,500 rushing yards in their first two seasons. Clemson sophomore Travis Etienne and Memphis junior Darrell Henderson are the other finalists for the Doak Walker Award. The Doak Walker Award winner bill be announced during The Home Depot College Football Awards, which airs at 6 p.m. (CT) on Dec. 6 from the College Football Hall of Fame in downtown Atlanta. The award will be presented at the 2018 Doak Walker Award Presentation Banquet in Dallas on Fe. 8. Wisconsin Badger running back Melvin Gordon was named winner of the Doak Walker Award as college football’s most outstanding running back during the Home Depot College Football Awards on the Boardwalk at Walt Disney World in Lake Buena Vista, Florida on Thursday night. Gordon was also named to the Walter Camp All-America Team, where he joined Indiana’s Tevin Coleman as a first-team running back. 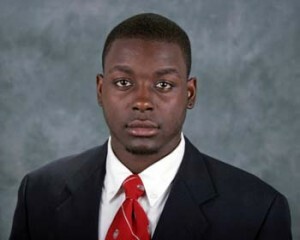 Gordon became the third Wisconsin back to win the Doak Walker award, joining Ron Dayne in 1999 and Montee Ball in 2012. Gordon rushed for 2,336 yards and 29 touchdowns. He needs one touchdown to join Oklahoma State’s Barry Sanders and UCF’s Kevin Smith as the only players to rush for 2,000 yards and score 30 TDs in a season. Gordon became the fastest player to reach 2,000 yards in a season by hitting the threshold on his 241st carry of the season. Gordon now heads to New York City where he’ll join Oregon quarterback Marcus Mariota and Alabama WR Amari Cooper for the presentation of the 80th Heisman Trophy. 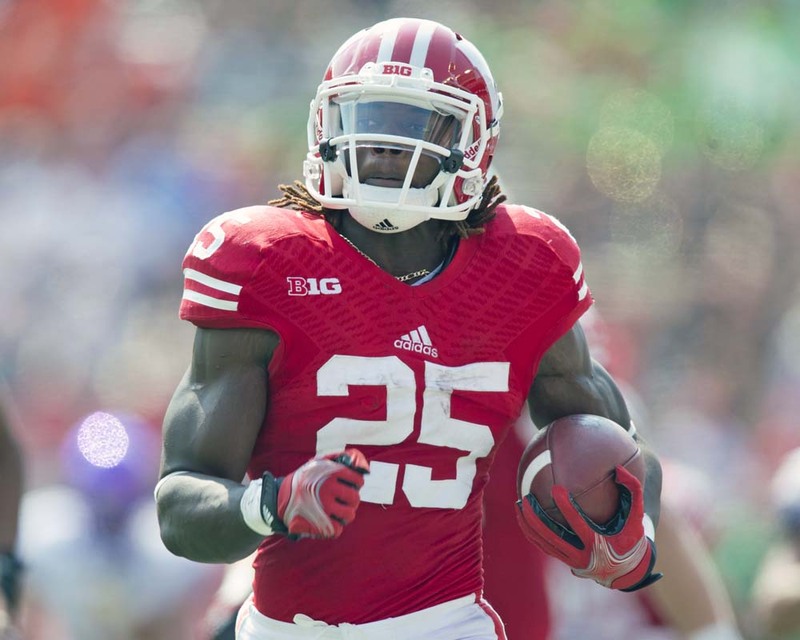 Melvin Gordon announced the decision that everyone knew was coming. The record-setting Wisconsin Badger running back is giving up his final season of eligibility in Madison to enter the 2015 NFL draft. Gordon leads the nation in rushing yards with 2,336, rushing yards per game (179.7), rushing touchdowns (26) and is fourth in yards per carry (7.56). It means the New Years Day Outback Bowl in Tampa, Florida, will be his last at Wisconsin. Gordon is in Orlando for the presentation of the Doak Walker Award tonight. Then its on to New York City for the Heisman Trophy presentation on Saturday night. Gordon is the favorite to win the Doak Walker Award tonight, but Oregon quarterback Marcus Mariota is expected to win the Heisman Trophy. With Gordon leaving school a year early, the job in Madison is expected to go to Corey Clement, who has rushed for 844 yards, nine touchdowns and a 6.4 yards per carry average in limited action. Disney World tonight. Ball also was named to the Walter Camp All-America team for the second-consecutive season. Ball finished ahead of fellow Doak Walker finalists Kenjon Barner of Oregon and Johnathan Franklin of UCLA for the honor, which has been presented to the nation’s most outstanding running back each year since 1989. Ball becomes Wisconsin’s second Doak Walker Award winner, joining 1999 winner Ron Dayne. He’s the sixth Big Ten player to earn the honor, and the first since Iowa’s Shonn Greene in 2008. Ball is the NCAA’s all-time leader in touchdowns with 82 and also holds the NCAA career record for rushing touchdowns with 76. He ranks in a tie for fourth all-time among Big Ten players with 5,040 career rushing yards and became the 17th player in FBS history to surpass 5,000 yards. Ball will be honored at the 2012 Doak Walker Award Banquet on Feb. 15 in Dallas.